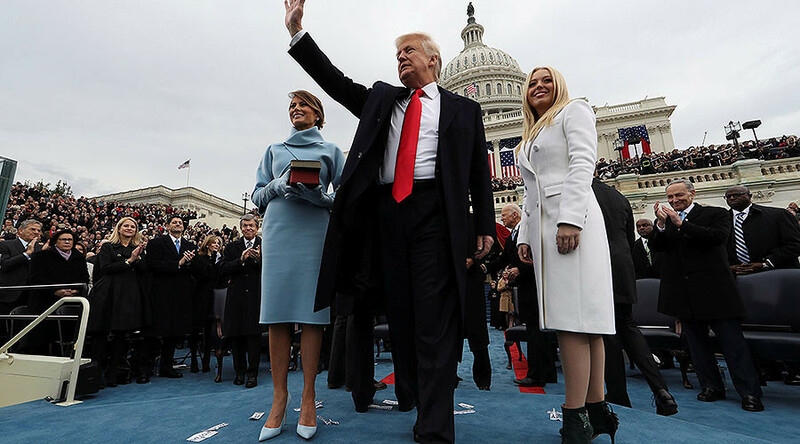 Amid a tumultuous day of angry anti-Donald Trump protests, social media users gleaned a surprising array of other take home moments from inauguration day, including the new US president’s background Twitter cover and his use of an apparent Batman villain quote. Quick fingered listeners to one of the shortest presidential speeches in US history took to social media to point out that Trump may have taken inspiration from Bane, one of Batman’s many adversaries. — Noah Kinsey (@thenoahkinsey) 20 января 2017 г. — Hollywood Reporter (@THR) 20 января 2017 г.
Trump staffers: "Who should we quote during the inauguration speech?" — Ryan Satin (@ryansatin) 20 января 2017 г. — Christopher Sabat (@VoiceOfVegeta) 20 января 2017 г. But the inauguration speech was not the only thing to grab people’s attention. The bizarre decision by Trump’s online team to use an image from Obama’s flag waving inauguration as the background for @President Trump also came under fire. Following a torrent of tweets, the image was promptly switched to one of a US flag. Never far from a bold statement, Republican political aide Kellyanne Conway also turned heads and raised eyebrows with her inauguration day choice of outfit. The brightly coloured red, white and blue getup caused something of a mini twitter storm of opinion and ridicule. Kellyanne Conway dressed like a Yankee Doodle dumbass. Meanwhile, Barron Trump, the first male child in the White House since the 1960s, didn’t escape Twitter judgement for his appearance at the Washington ceremony. While the 10-year-old son of Trump didn’t come in for the same sort of flack as Conway, his apparent boredom at the swearing in process did generate some traction online. Kinda feel sorry for Barron; he looks bored and hasn't had any girls or boys his own age to relate to.